I was excited to review this DVD. 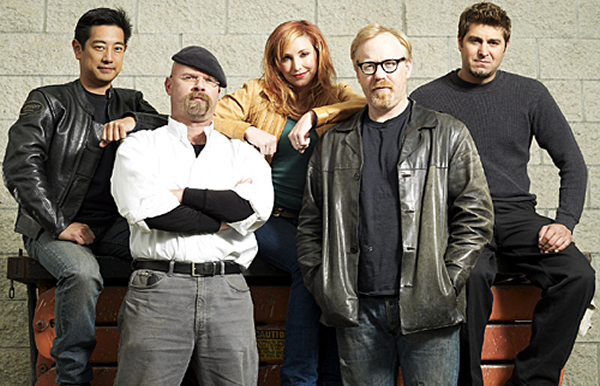 I quite like the Mythbusters TV show. I don’t get to watch it as much as I’d like. This particular DVD had some moments on it. It’s a two disk set. It seems as thought they have edited several episodes together while taking out the credits. So, no commercials, no end credits - how good is that? They left the cast introductions and the “don’t do this at home” warnings in. 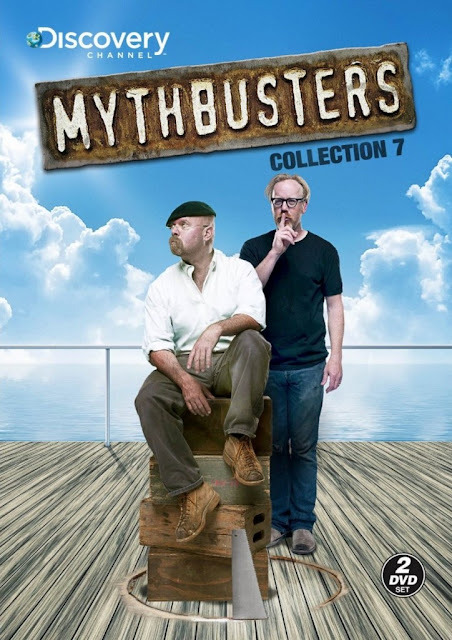 If you’ve never seen the Mythbusters program, it goes something like this; they choose some kind of crazy story that you hear about and try to replicate the results from the story. For instance, the first Myth on disk two is entitled “Boomerang Bullet”. Is it possible for someone to shoot a gun, have the bullet ricochet off of three surfaces and shoot himself (herself). They set up a handgun in a large bunker style box so that they can pull the trigger via a cable and aim the gun at a hardened steel plate. Leave the bunker, pull the cable (firing the gun) and then go back in and see what happened. They try several kinds of bullets, several kinds of materials to have the bullet hit, and several angles at which the bullet hits the materials. Then, they make a big steel pipe into an almost circle and see if you can funnel a bullet... They make it a lot of fun, they do some pretty crazy things and try to be as safe as possible while they do it. There’s some science, some good urban myth story telling, and some great fun as they hit, smash and blow stuff up. It’s great because it shows that you can have some outrageous fun and still be safe. Often the results they get defy your expectations and sometimes it happens just like you think. The other thing they seem to do is listen to their fanbase as they mention that some of the myths are given to them by email or their website. I highly recommend the Mythbusters Collection 7 DVD and the series. It’s fun, oddly educational and they blow stuff up.